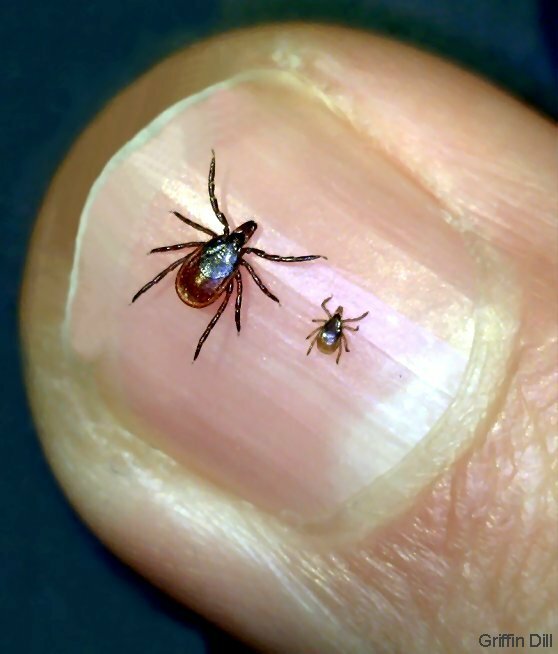 Why Should I Care About Tick Control? Build a fence tall enough to keep out deer. Our suggested height is 7 feet or higher of the proper type of fencing (see invisible deer fence for more info). If you use fencing that's too visible deer will try and jump your fence and will get in. A good example of a bad deer fence is a chain link fence with a top bar or top rail. Deer can effectively judge the height of the clearly visible bar and jump the fence. Choose a fence with overlap staked to the ground, preferably including a rodent barrier. By this we mean extra fencing (6" or more) that extends onto the ground and gets pinned to the ground. This covers changes in grade and prevents animals from pushing up or digging under the fence for access. Choose a fence with small opening sizes. The larger the openings, the more types of animals that will be able to get in. In extreme cases, choose one of these types of deer fences: deer fence kits with a top or deer fence kits with angled climbing protection which exclude climbing animals like raccoons.